PMC will develop a service culture that is in alignment with your vision; one that drives the patient experience and provides an empathetic approach to assisting with a patient’s arrival and departure from the property. A visitor’s arrival and departure experiences are an opportunity for positive occasion interactions extending well beyond the front doors. We capitalize on this opportunity by taking the time to truly understand your vision for the patient experience. Patients arriving at our partners’ medical facilities know to expect eye contact, a warm smile, and a sincere welcome. Each visitor’s door will be opened promptly by assisting team members. 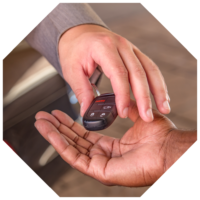 We will explain the parking amenities in full detail and assist with directing patients and visitors to their destination, using scripted verbiage that is concise, consistent, and accurate. Our proprietary ‘Road to Success’ training and certification programs teach our associates the prompt hospitality techniques necessary to anticipate visitors’ needs. This helps develop a proactive service culture in line with your vision. Whether being used for off-site parking during construction, or simply to expedite vehicle flow on your property, an effective shuttle solution will improve your patients’ experience by getting them where they need to go safely and quickly, resulting in higher patient satisfaction ratings. PMC shuttle operators are trained in the same aggressive hospitality techniques as our valet associates. 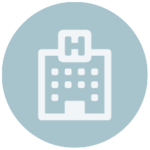 Patients can be confident that the shuttle operator will provide the same experience they expect from a valet attendant, concierge, or other hospital staff: being friendly, helpful, and proactive, and trained thoroughly on the details of the property. A visitor’s arrival and departure experiences are an opportunity for positive patient interactions extending well beyond the front doors. We capitalize on this opportunity by taking the time to truly understand your vision for the patient experience. Patients arriving at our partners’ medical facilities know to expect eye contact, a warm smile, and a sincere welcome. Each visitor’s door will be opened promptly by assisting team members. 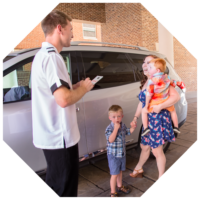 We explain the parking amenities in full detail and assist with directing patients and visitors to their destination, using scripted verbiage that is concise, consistent, and accurate. Our proprietary ‘Road to Success’ training and certification programs teach our associates the aggressive hospitality techniques necessary to anticipate visitors’ needs and to develop a proactive service culture in line with your vision.